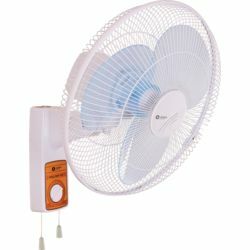 Enjoy the best breeze in every nook and corner of your room with the Orient Wall 45 high speed wall fan. 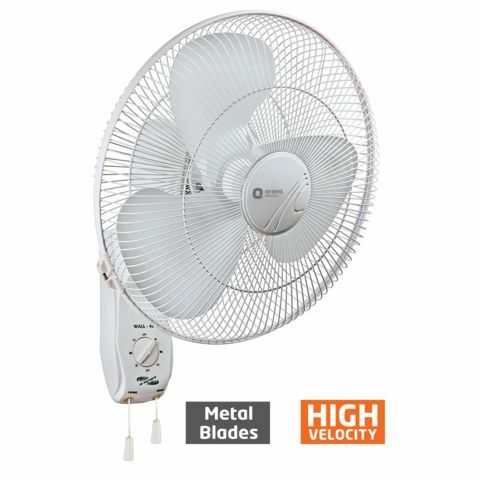 This fan comes with a specially designed torque motor and also features thermal overload protection device for to ensure motor durability. The powder coated guard and polymer ring offer enhanced protection. The tilt adjustment feature allows you to adjust the fan at the angle that suits you the best. Orient Wall 45 comes in white colour and will easily blend into the different kinds of interior decors. 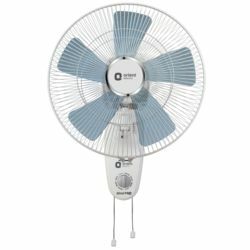 Enjoy the best breeze in every nook and corner of your room with the Orient Wall 45 high speed wall fan. 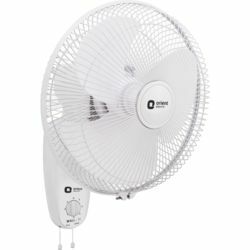 This fan comes with a specially designed torque motor and also features thermal overload protection device for to ensure motor durability. The powder coated guard and polymer ring offer enhanced protection. 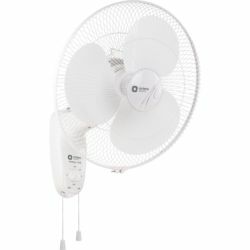 The tilt adjustment feature allows you to adjust the fan at the angle that suits you the best. Orient Wall 45 comes in white colour and will easily blend into the different kinds of interior decors.